Less than a year after launching it. If you’re looking to spend less than $70,000 on a brand new Tesla Model S, you’d better act fast. The EV automaker has just announced in a press release that it’ll be discontinuing the Model S 60 and the all-wheel drive 60D next month, specifically on April 16. Launched less than a year ago (in June 2016, to be precise), the Model S 60 and 60D feature the same 75-kWh battery as the next trim level up, but their software was limited to 60-kWh. This also means they have the shortest range, and, according to Tesla, "most customers ended up buying an equivalent to the Model S 75kWh," meaning they simply purchased an over-the-air-update for $9,500 to unlock that remaining 15-kWh. For its part, Tesla wants to "simplify the ordering process." 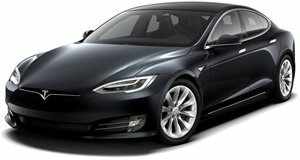 The Model S 60 began at $68,000 while the 60D went for at least $73,000. The 75- kWh Model S, for comparison, begins at $74,500 for RWD and $79,500 for AWD. Tesla’s latest move really does make complete sense, and looking back, we’re kind of surprised it launched the Model S 60 and 60D in the first place. Think about it: you spend $68 grand on a Model S 60, but soon realize you want the extra juice and range with that $9,500 upgrade. You could’ve simply bought the Model S with the 75-kWh battery from the get-go and saved $3,000 in the end. Makes no sense. In any case, Tesla is currently busy prepping the far less expensive Model 3 sedan, which will certainly appeal to everyone who can’t afford or doesn’t want to spend $74 grand on a Model S.